While we was on holiday at a Pontins holiday park in Brean Sands we decided to visit Wookey hole near Wells in Somerset , it was the choice between Wookey hole or Cheddar Gorge, years ago I went round the full cheddar gorge so decided on Wookey hole, though we did visit the town of cheddar gorge see HERE for details. I had found half price tickets using voucher code app on my android phone, all you had to do was show the voucher that is displayed on the app on your phone screen at the entrance to get the offer, though if using any of the voucher apps would recommend getting your voucher before as mobile reception can be limited in the area. The normal prices are £18 adults £12 children, if you book online direct you can save 20%, and if your child has a blue peter badge they go free. Which is pretty good value as there are over 20 attractions on the site. By the car park which is free is the hotel aswell with a great witch’s hat as part of the roof. For latest pricing and opening times visit the official website HERE. From the main entrance you have to cross a road, by the road is a great statue of a policeman saying looking both ways, this made me smile. You start off going up a hill to the entrance of the wookey hole cave. You go through as small groups with a guide. Inside is amazingly beautifully seeing inside the cave, remember the cave does have low head height and some gantry stairs to go round, this could be hard for people with mobility problems, but if you can go through it is well worth it. Once you come out of the cave you are in a small gorge with a lovely waterfall. We went on a nice day so was absolutely gorgeous. You then go through part of the park that has statues of dinosaurs and also a very large model of king kong that you can walk under, keep you eye out in the foliage for all the different displays of animals and the fairies and little houses. There are several building to go in. One with all old circus equipment. There is also clown town with a very large and highly detailed model several circus’s. I love models like this so this was amazing for me as there is so much to see in the model layout so look closely. There is the wookey hole Olympic circus though the shows are only on at weekends and school holidays, there are several shows per day. Though it is well worth watching as the acrobats were amazing and really fun to watch. There is a old penny arcade for you to have a go at the old one arm bandits etc using real old pennies. By this is the hall of mirrors hopefully you will be able to find the centre and way out. There are several play areas for the kids including the play zone and the pirates of the river axe indoor play area complete with pirate ship and loads of sand around for the kids to play in. You can also have a go at making hand made paper at the last surviving paper mill. The pirate island adventure golf course is a fun mini golf set out in the theme of pirates. You can learn more about wookey hole within the museum and exhibition hall. There are several places to get food and snacks and of course the gift shop. If you have brought your own food there are several picnic areas for you to sit and eat. The visit to wookey hole was just me and the missus as we was having a weekend break on our own so didn’t have the children with us. Though they would have loved this great attraction. We spent nearly the whole day there as there is so much to see and do. 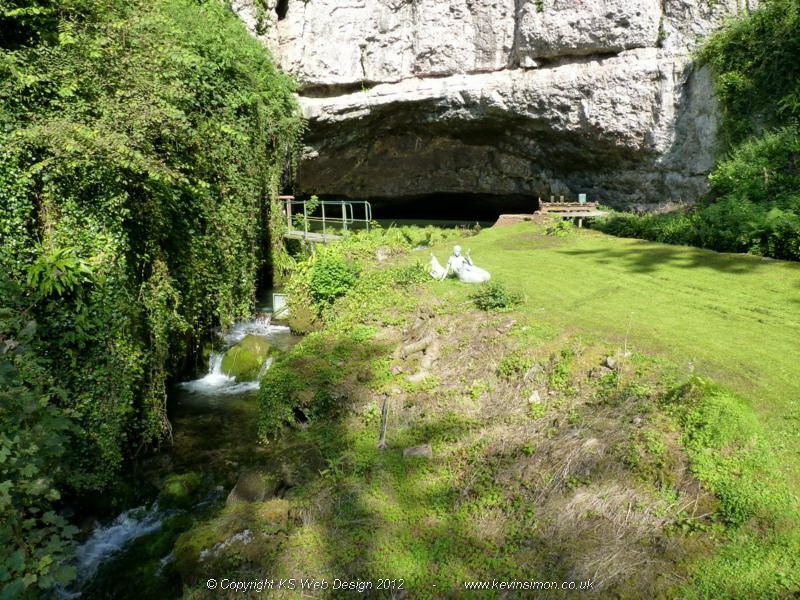 Wookey hole does live upto one of the best attractions in the area, because there are so many attractions within one venue both indoor or outside it dosnt matter what the weather is like when you visit. Wookey hole is a place I would highly recommend and wouldn’t mind going again as just so much to see and do and well worth the entry price.